Perfect for birthdays, graduations, weddings, baby showers, game day, school events, fundraisers and more, the Balloon Time Standard Helium Kit gives you the convenience of filling balloons anytime, anywhere to instantly transform an everyday space into a celebration. The standard helium tank fills up to (50) 9” latex balloons, (27) 11” latex balloons or (27) 18” foil/mylar balloons in just three easy steps. Latex balloons will float approximately 5-7 hours. Foil/mylar balloons will float up to four days. Temperature and altitude will affect helium float time. A convenient alternative to filling a car full of pre-inflated balloons, Balloon Time’s lightweight helium tank is easy to use and take to any get-together. 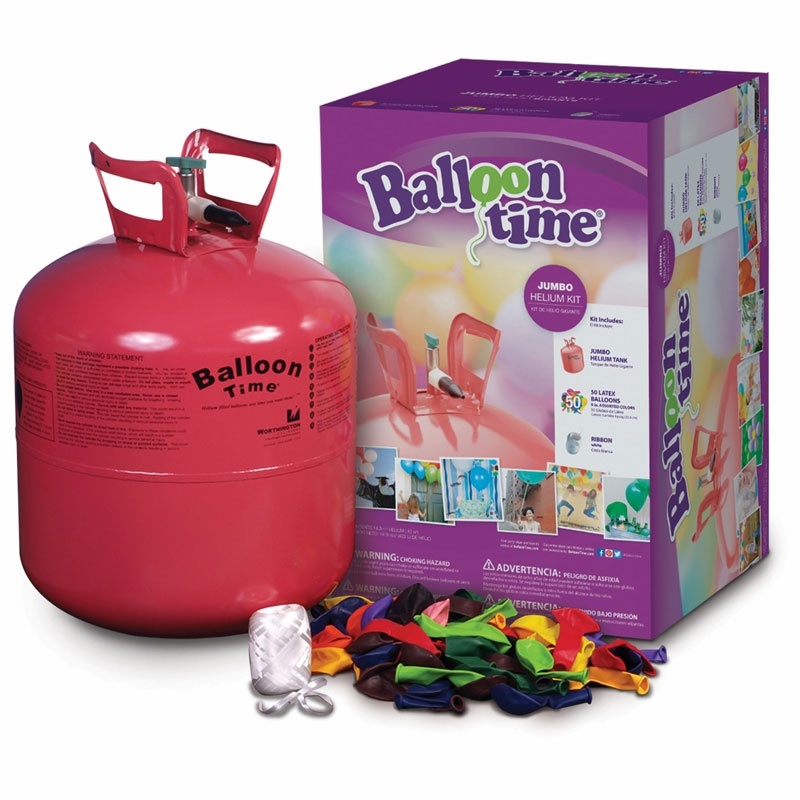 Whether bold, festive, whimsical or elegant, make a statement at your next party with Balloon Time Helium Kits. Use helium-filled balloons to create bouquets, centerpieces, party favors, arches, columns, photo backdrops, launches and more.